I made this a couple of weeks ago. The first time all the ingredients went into the oven and cooked together (potatoes and beans parboiled first.) This time I cooked the vegetables separately and John seared the tuna. I think it turned out better. This dish is definitely going into the meal rotation. 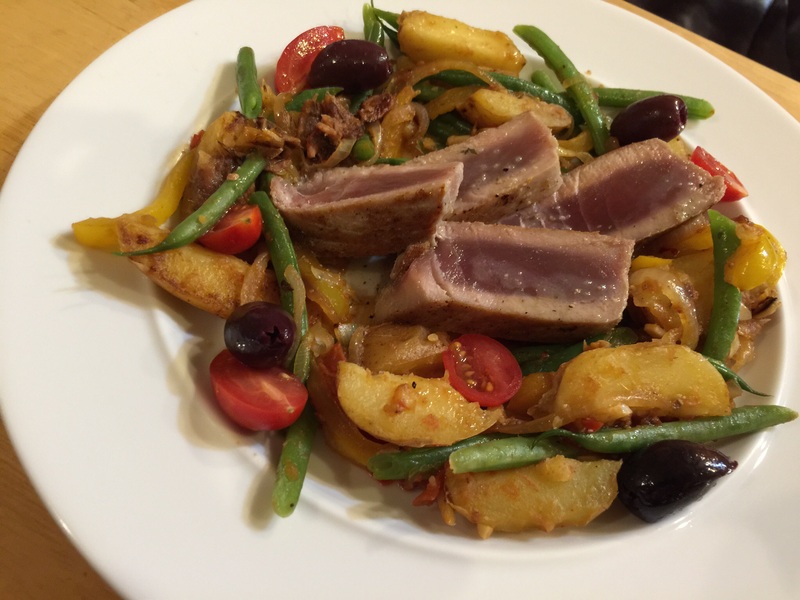 This entry was posted in Fish and tagged ahi, Ahi tuna, anchovies, Cherry tomatoes, Haricot vert, new potatoes, Niçoise, olives, Salad, tuna. Bookmark the permalink.